Zhong Li is the Co-founder & Managing Director of Finty, an online financial marketplace that was acquired by an Australian firm for a seven-figure sum, 15 months after the company was launched. He leads growth and development, which includes managing various aspects of the startup to ensure it achieves its business goals and targets. His extensive digital and marketing experience of over a decade has honed his ability to deliver digital solutions across dotcom, technology, and financial industries. 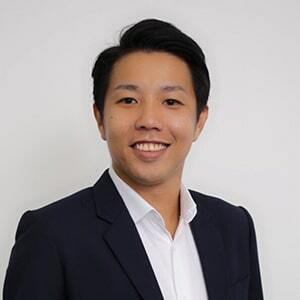 Prior to helming business growth efforts at Finty, Zhong Li was the Vice President of eBusiness at OCBC Bank, heading up digital sales and performance management. His role included managing revenue and usage growth across digital initiatives, channels, and platforms. He also led the implementation of Adobe web analytics project as part of the bank’s data-driven direction. His previous roles include Senior Manager, Digital Marketing & eCommerce at Trend Micro. He oversaw APAC online consumer business and developed digital ROI framework with advanced web analytics. He was also the Digital Marketing Lead at Yahoo! where he developed digital strategies, campaigns, and programs for SEA region. As part of his interest in the internet space, he also supports and advises startups on business models, marketing, and eCommerce. He holds a bachelor’s degree in Marketing and a MBA from the University of Adelaide, also the WSQ Advanced Certificate in Training and Assessment (ACTA) from Institute of Adult Learning.